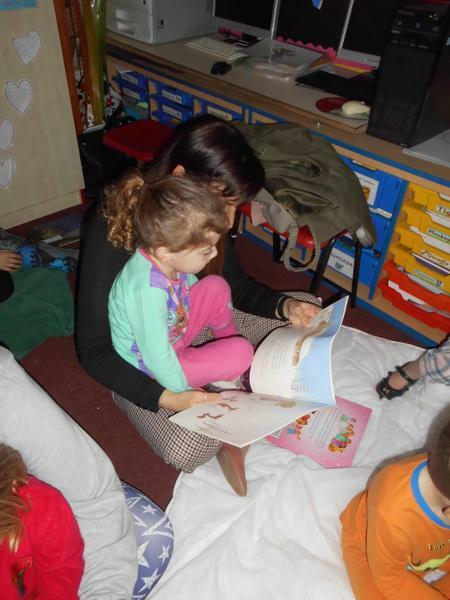 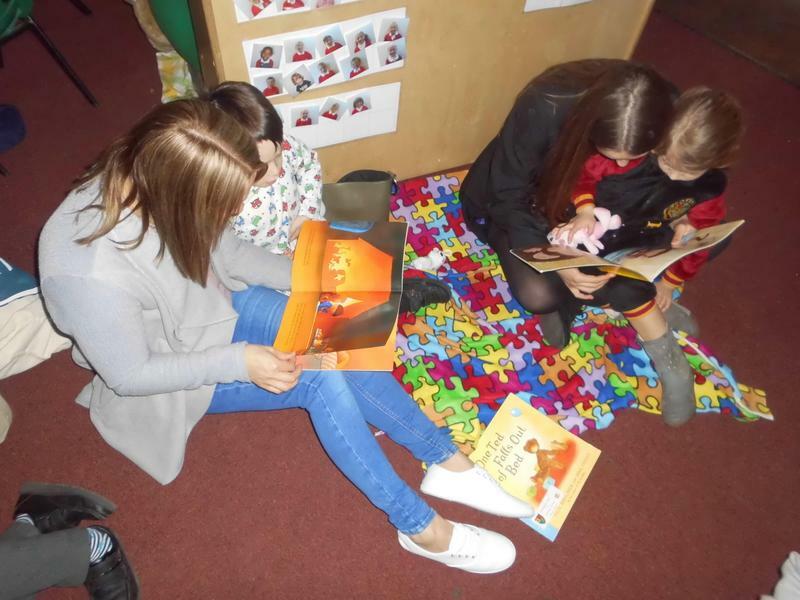 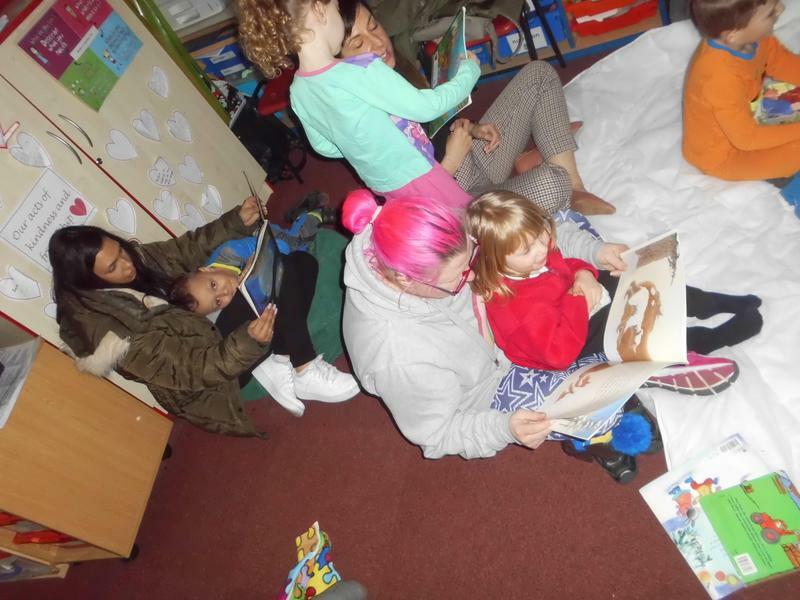 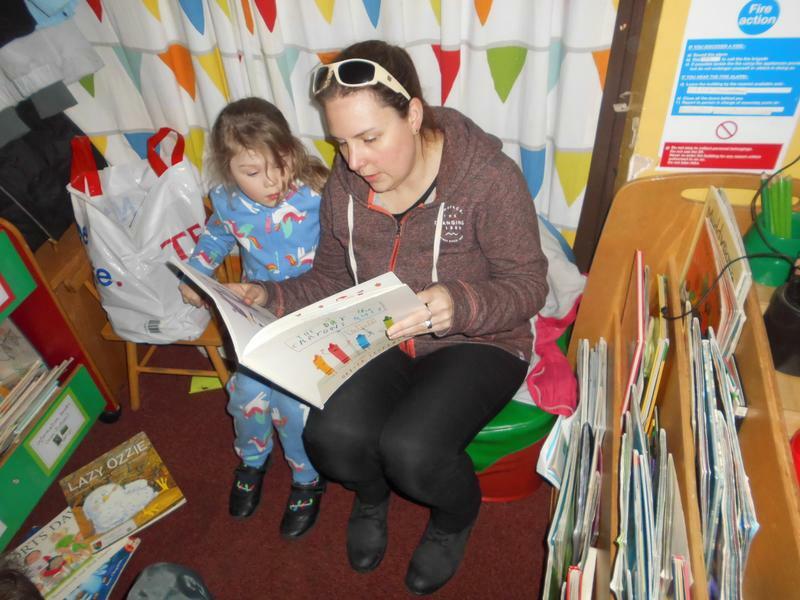 We had a lovely time for our Bedtime Story session. 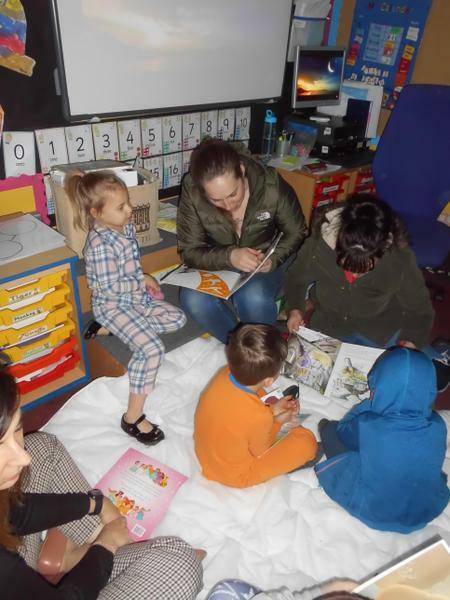 We stayed after school with our grown-ups and wore our pyjamas. 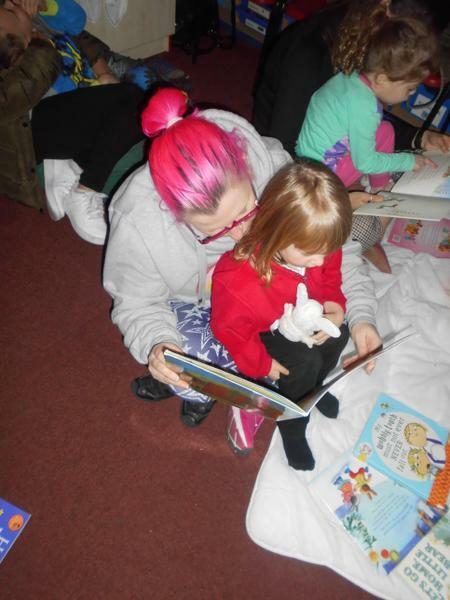 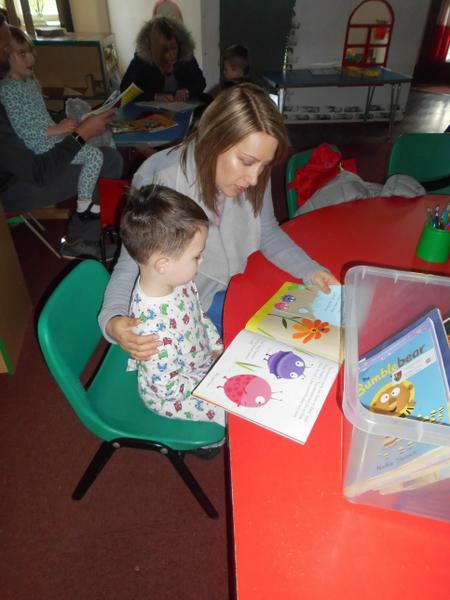 We shared our favourite stories and had a bedtime snack – milk and biscuits. 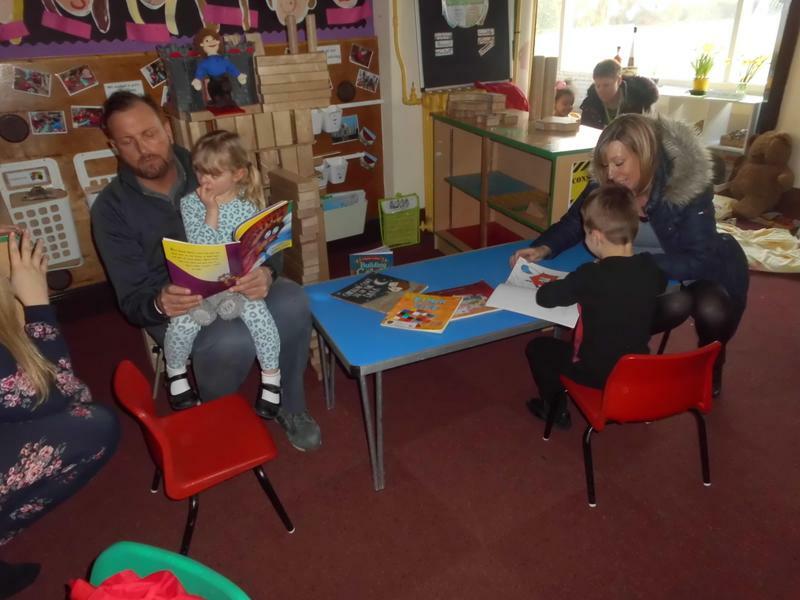 Mrs Coles read us ‘It’s Snorey Time’ written by Meg & Catherine Pybus. 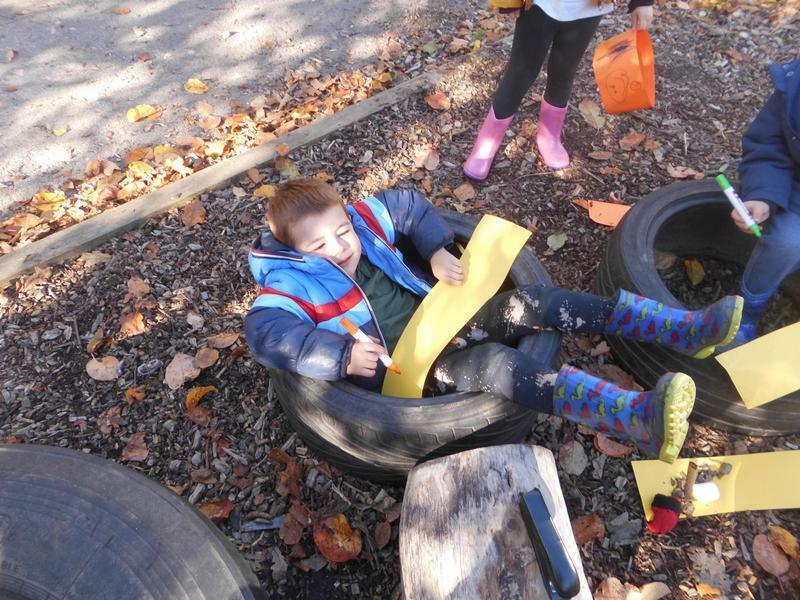 We all nearly fell to sleep….Zzzzzzzzzzzzzz! 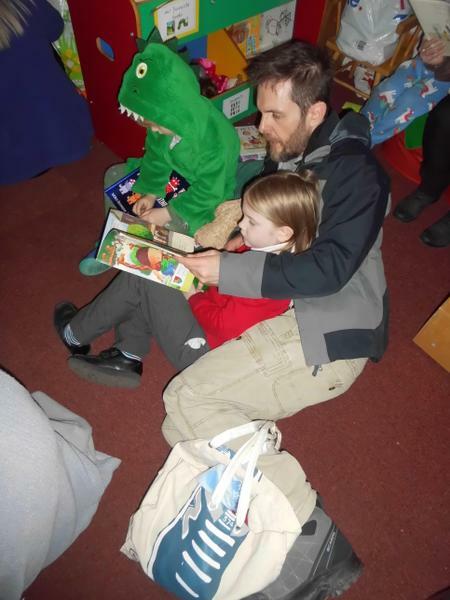 Dormouse Book Sends children to sleep: It's Snorey Time. 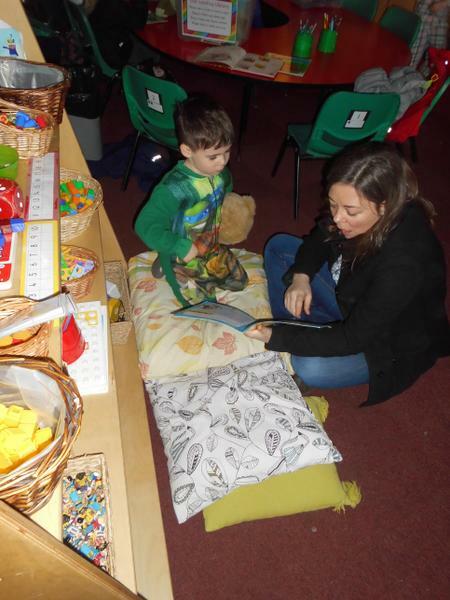 The first picture book and audio track designed specifically to send children to sleep. 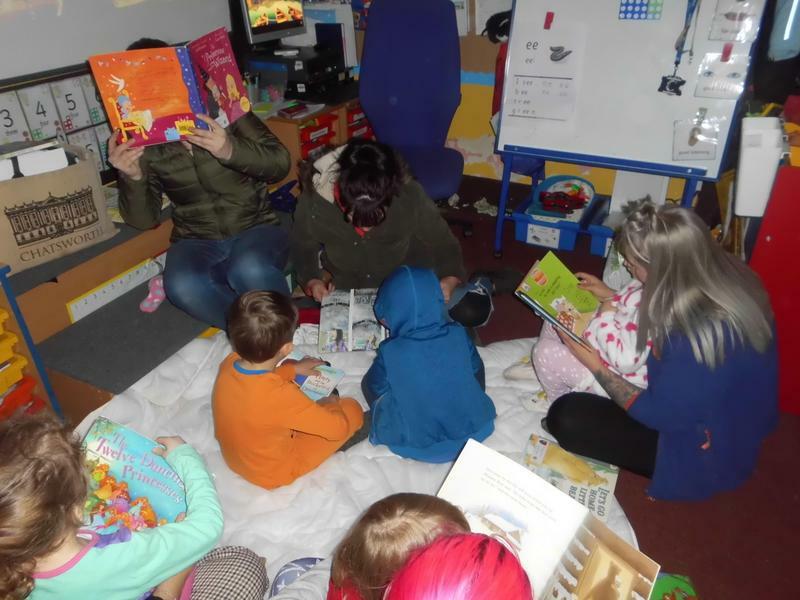 Follow the 3-step sleep system and you are guaranteed a better chance of a lovely, peaceful, night: Read, Listen, Sleep. 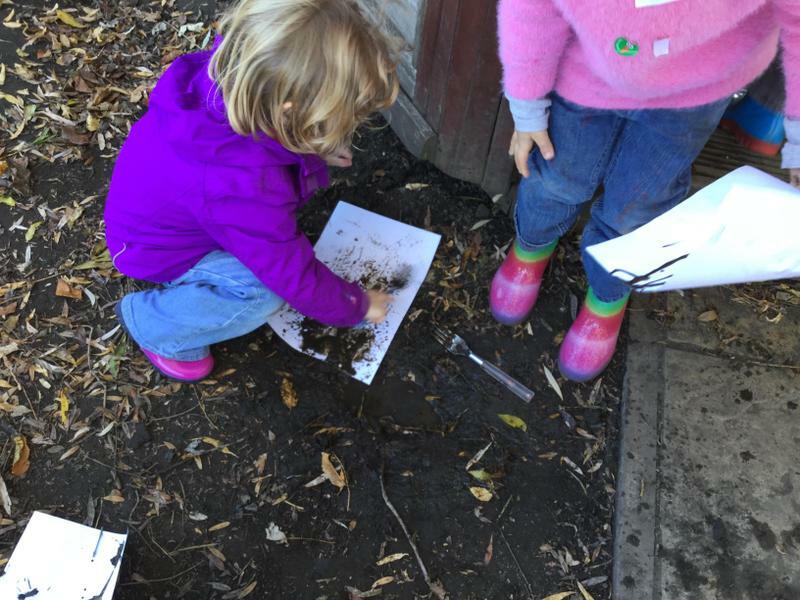 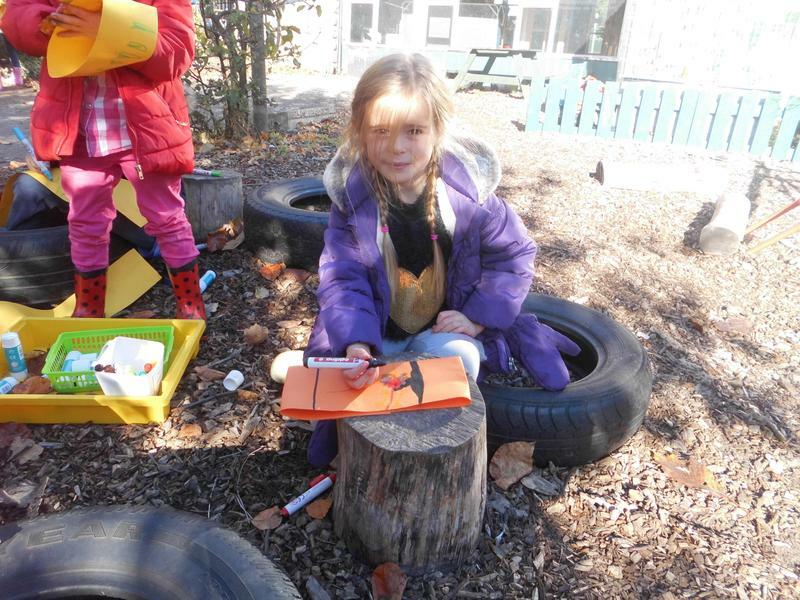 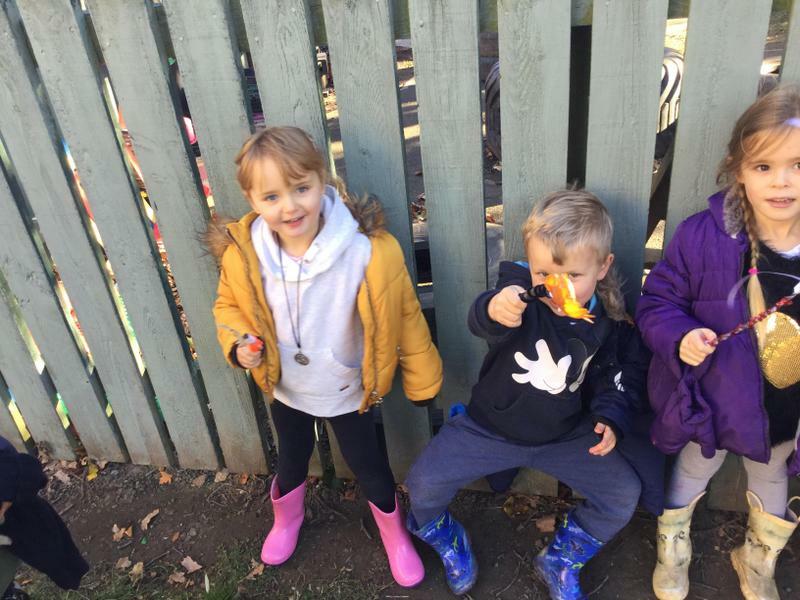 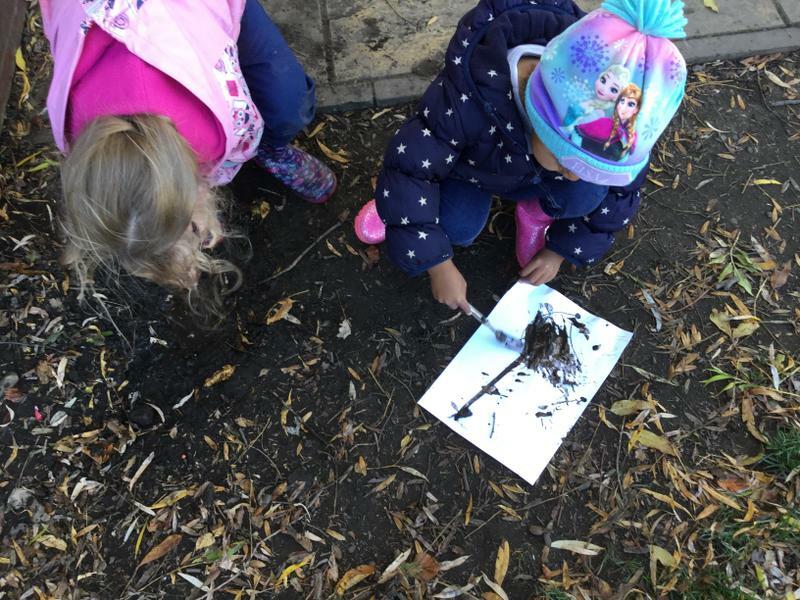 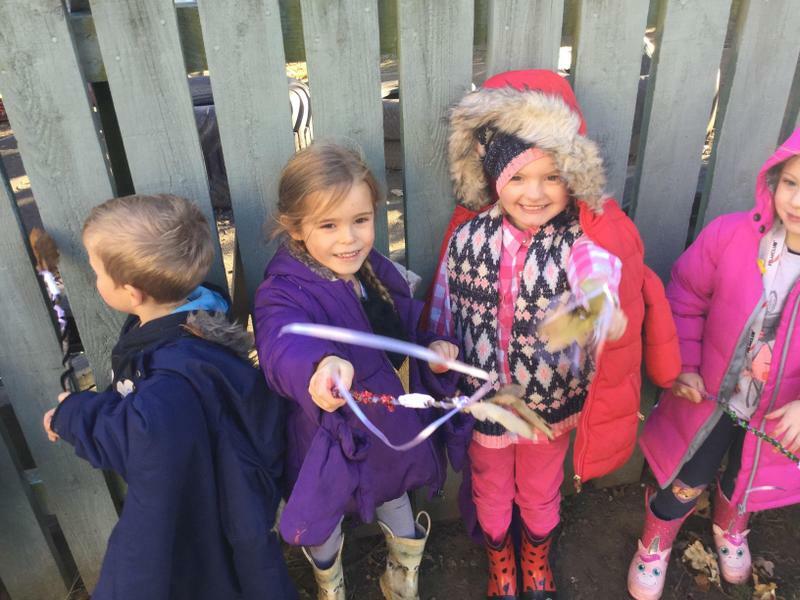 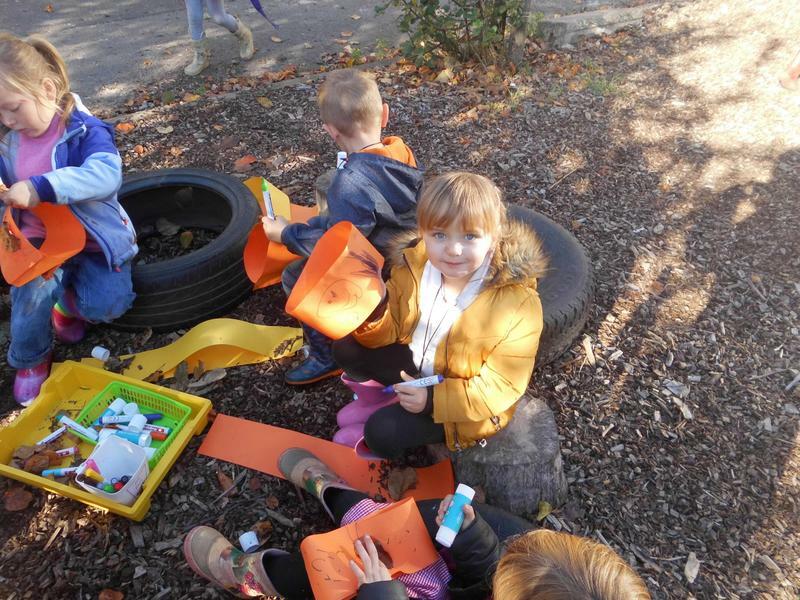 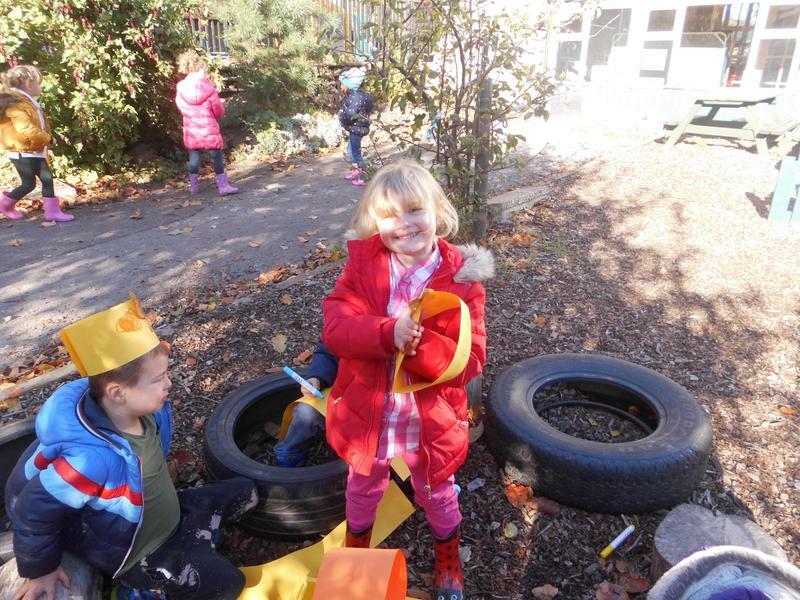 We had lots of fun learning outside. 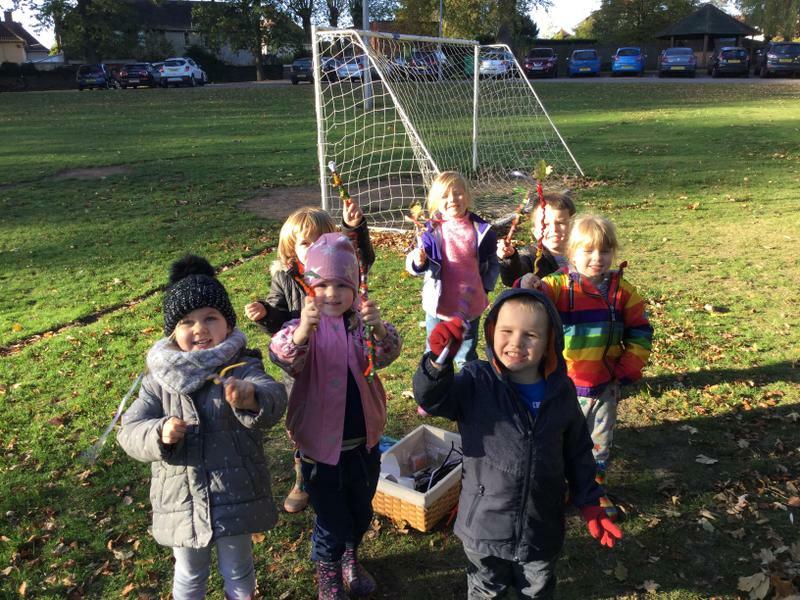 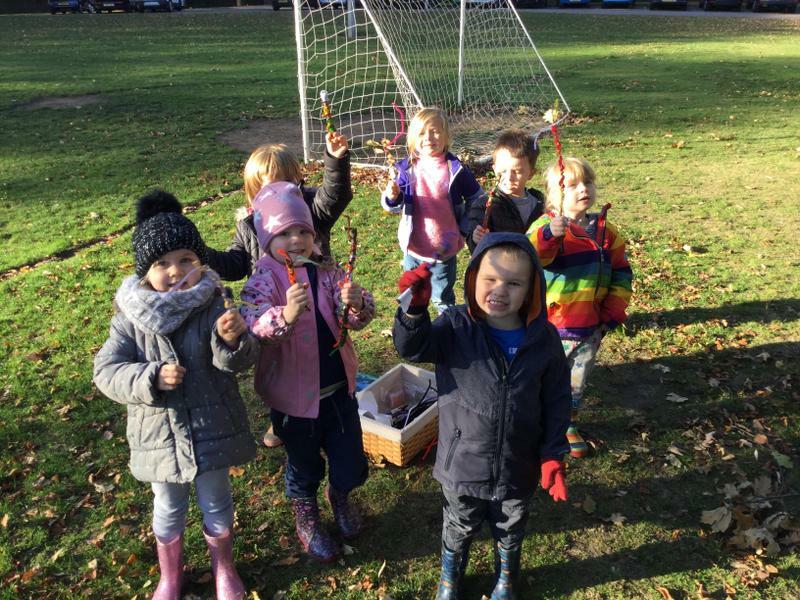 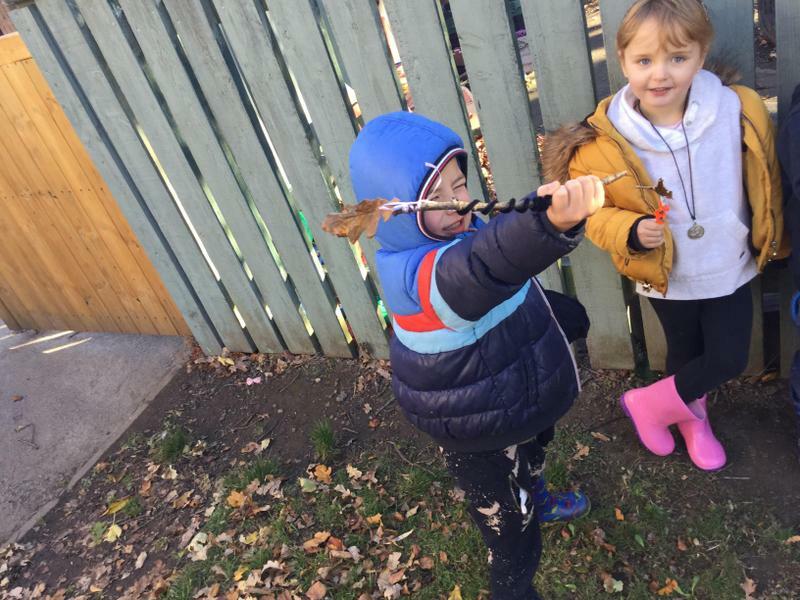 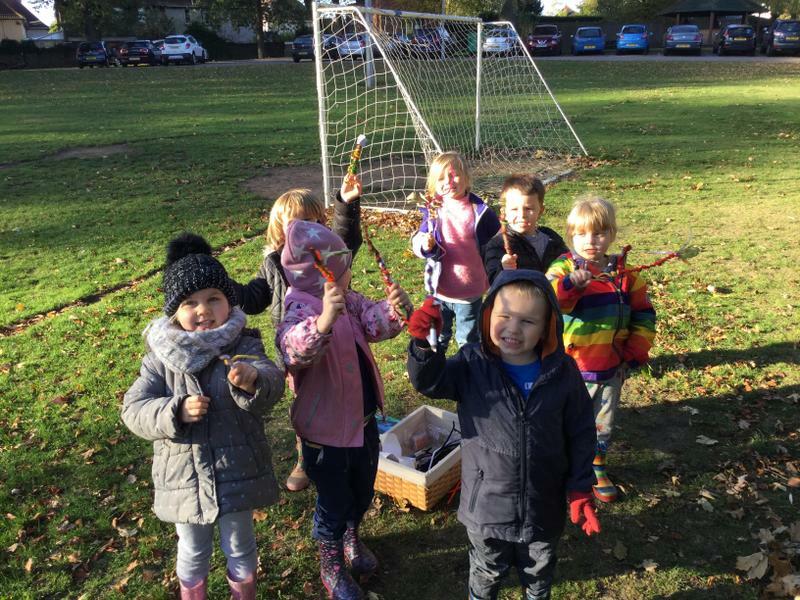 We made magic wands using natural resources, we painted with conkers and built up our muscles by hammering golf tees into pumpkins. 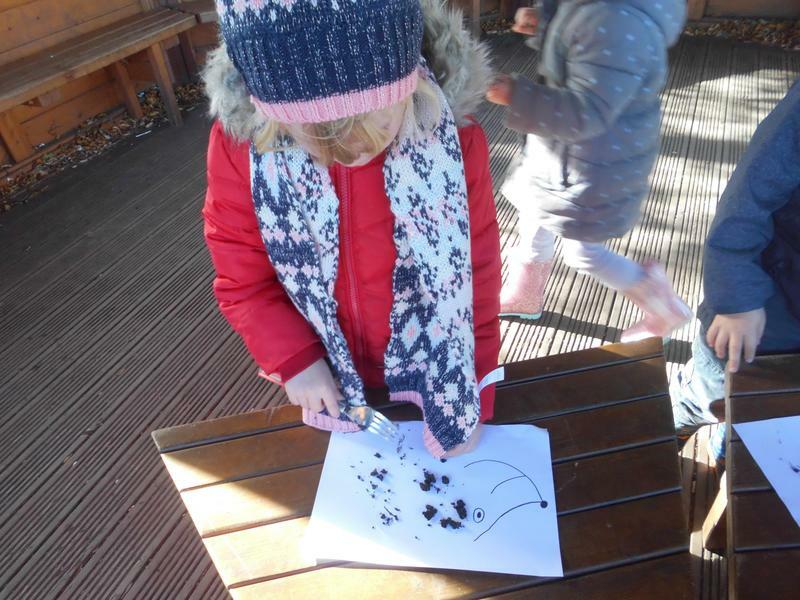 We made our own paint from mud and used a fork to create the hedgehogs spikes. 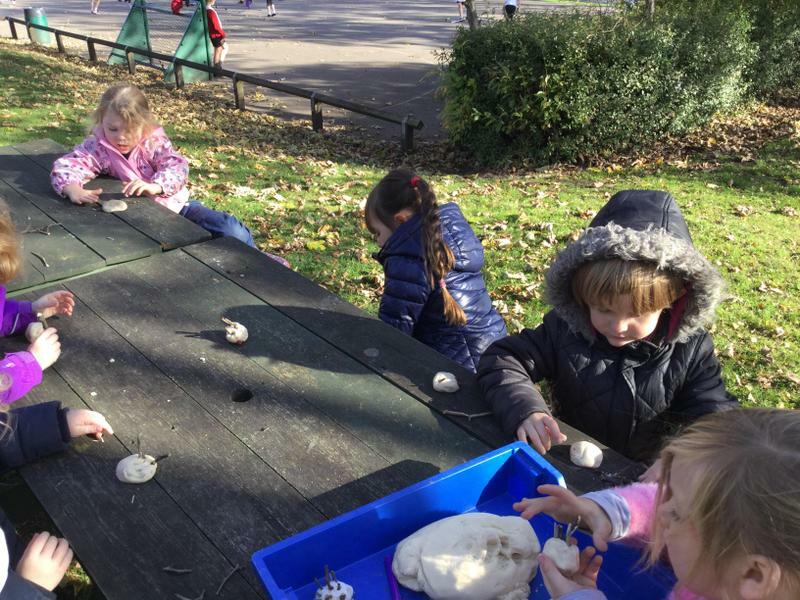 We made a hedgehog using saltdough and twigs. 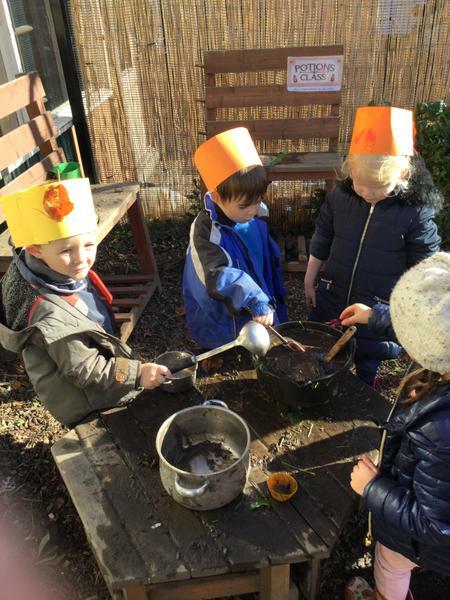 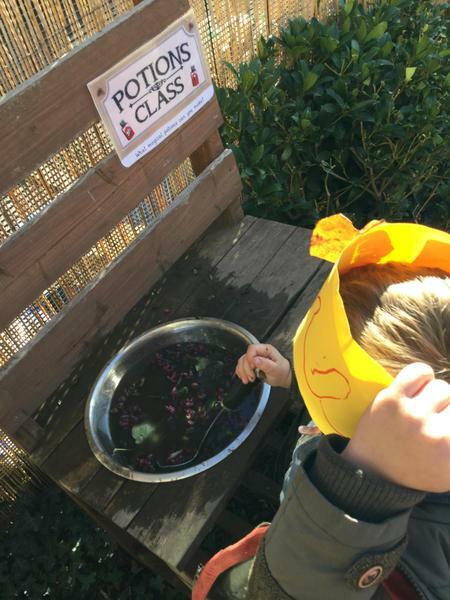 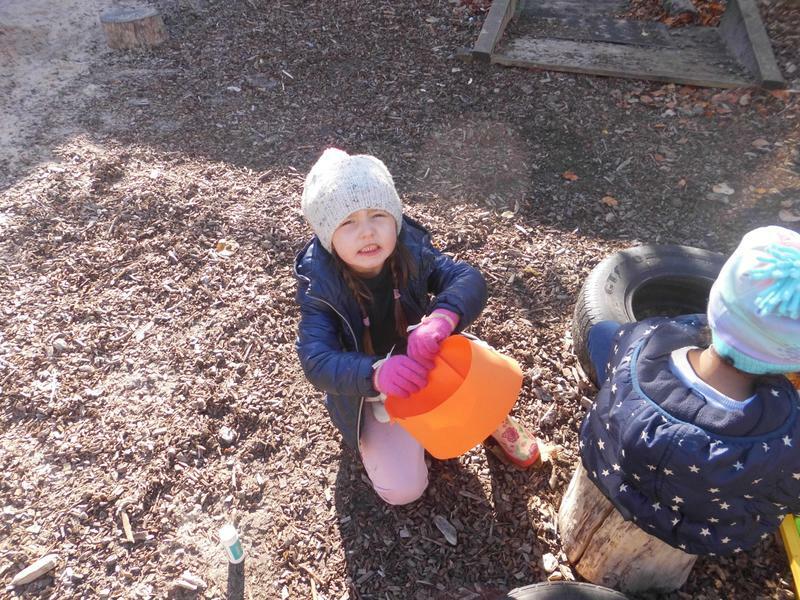 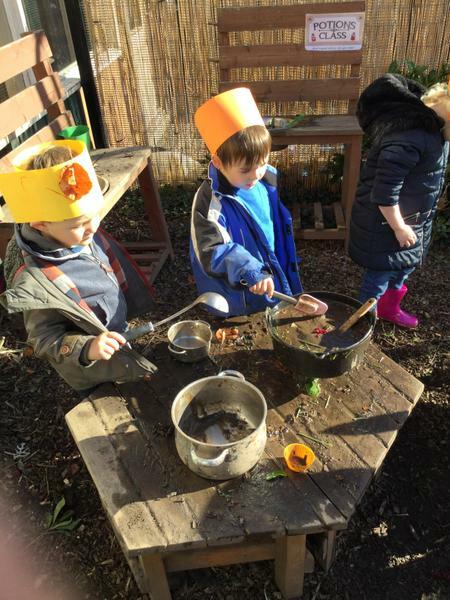 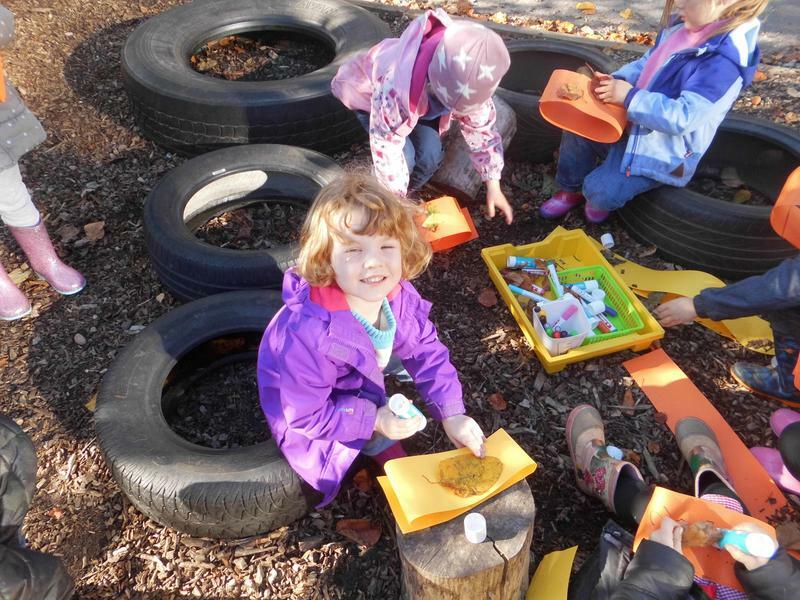 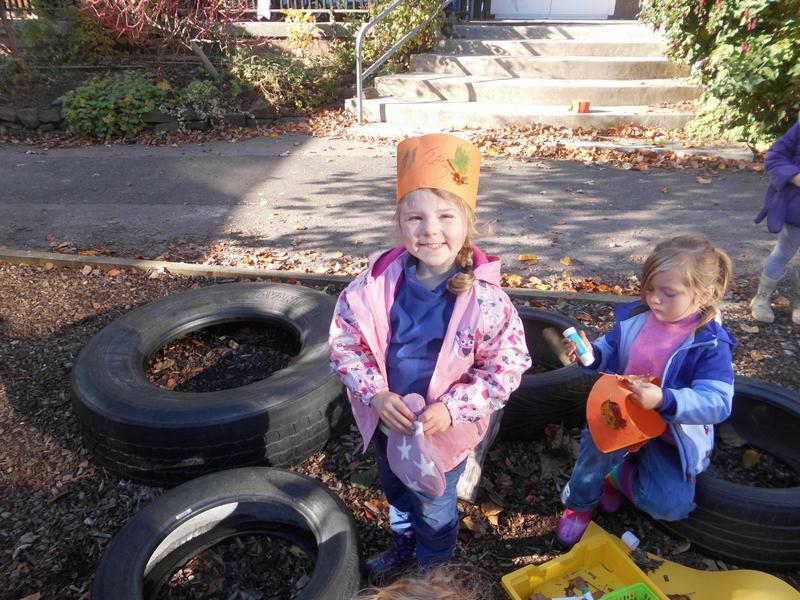 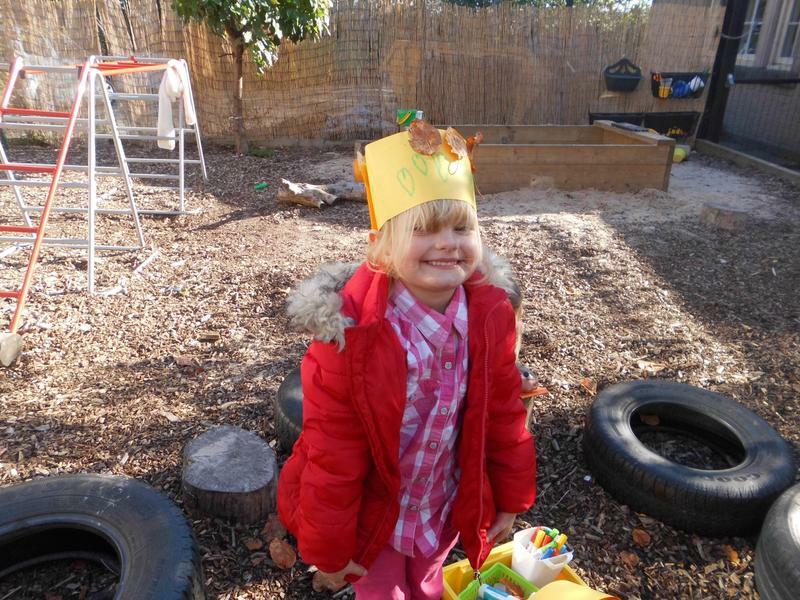 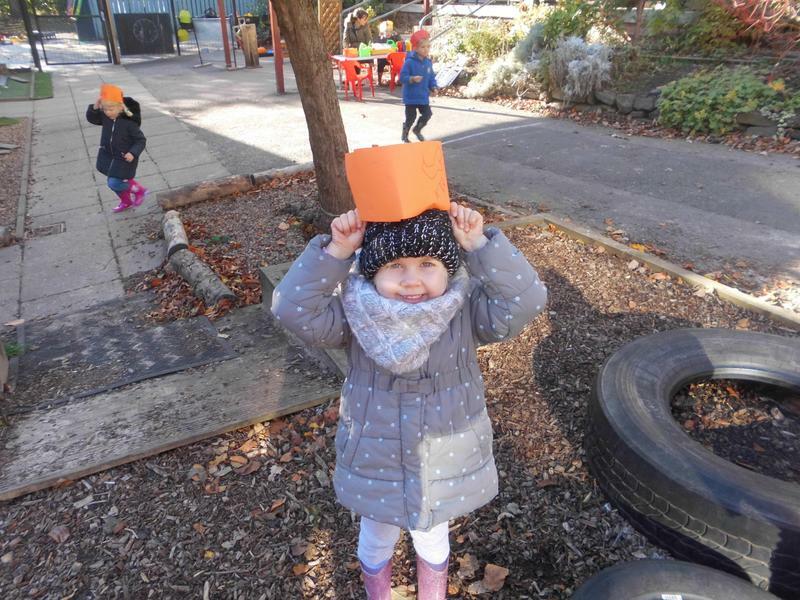 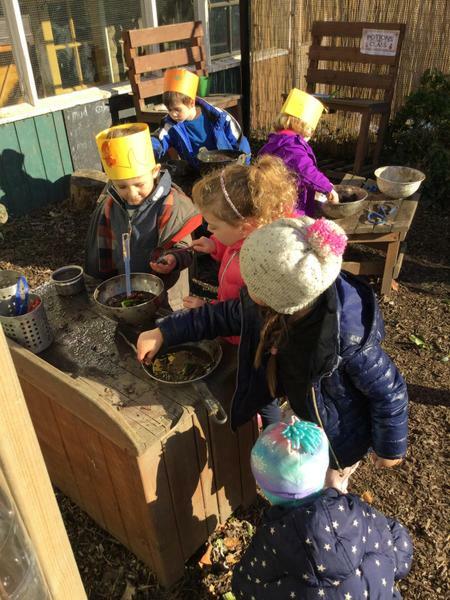 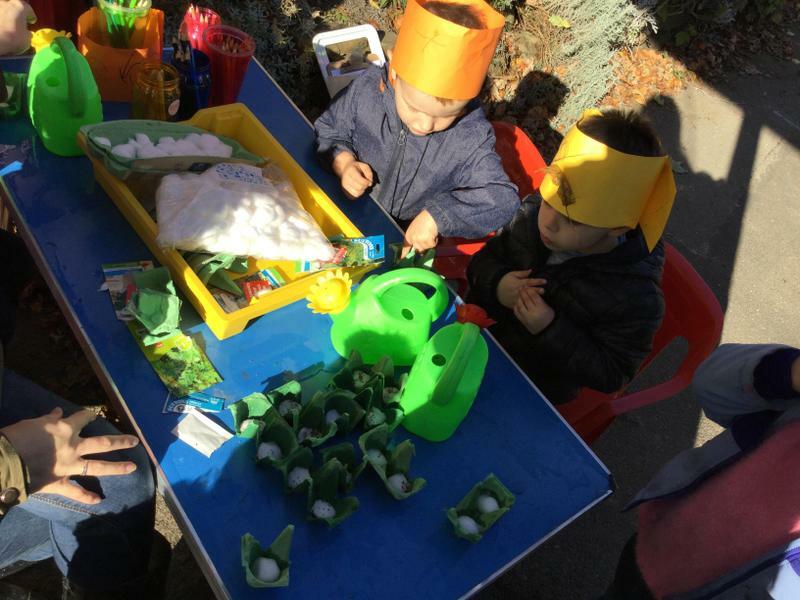 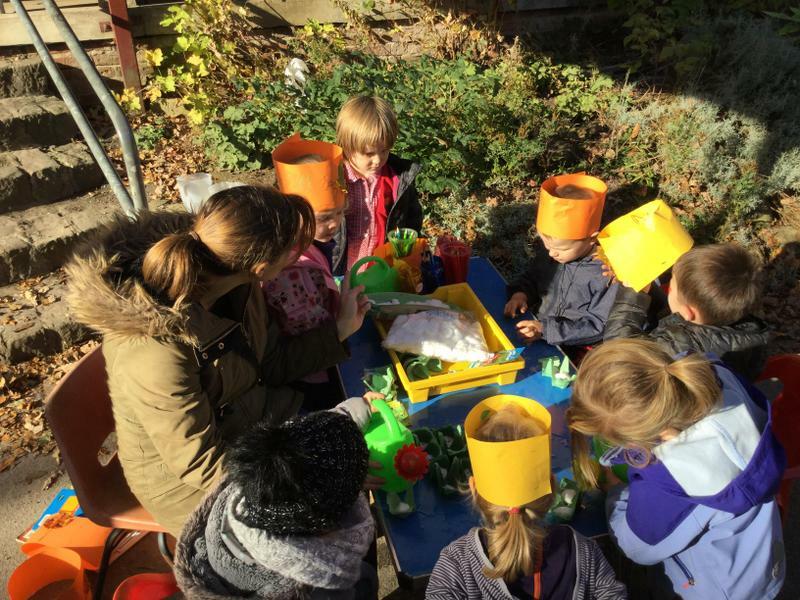 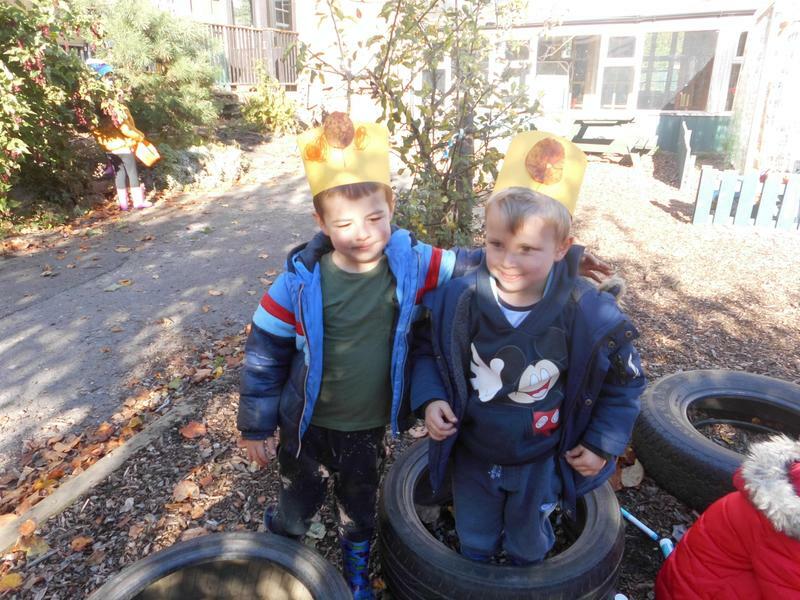 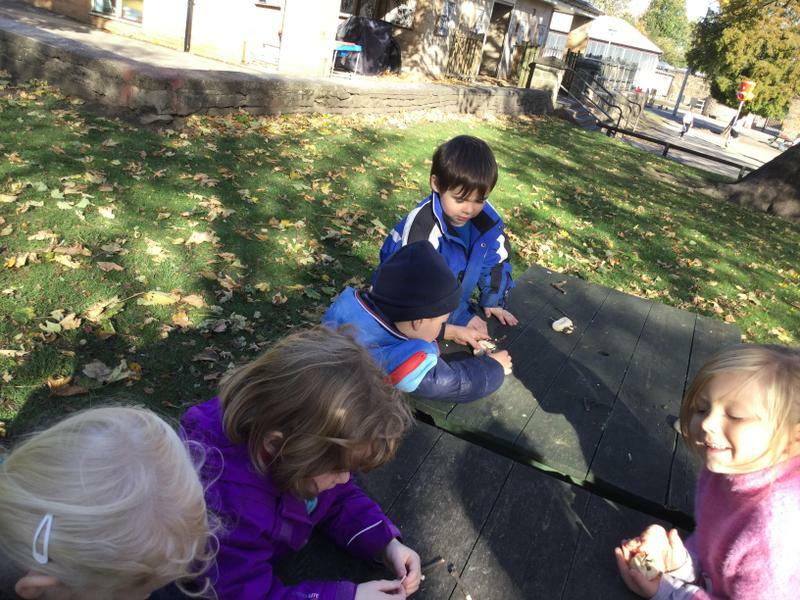 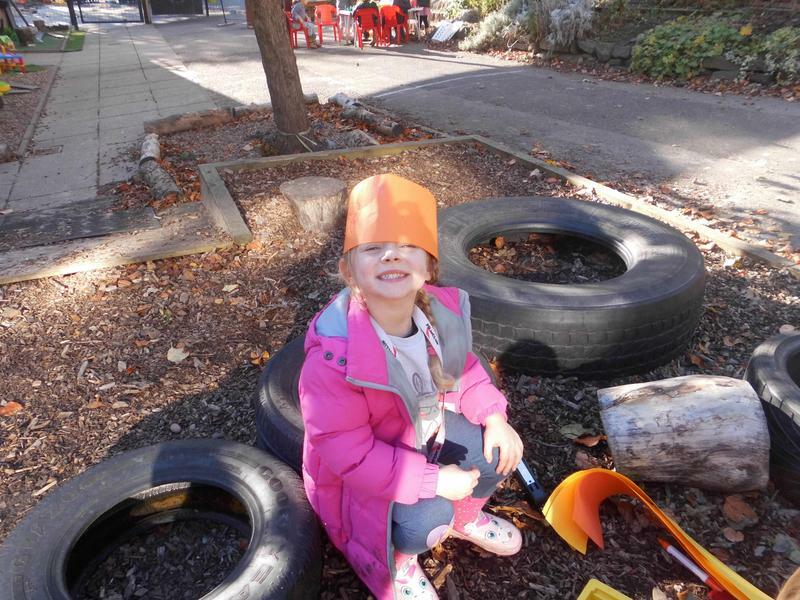 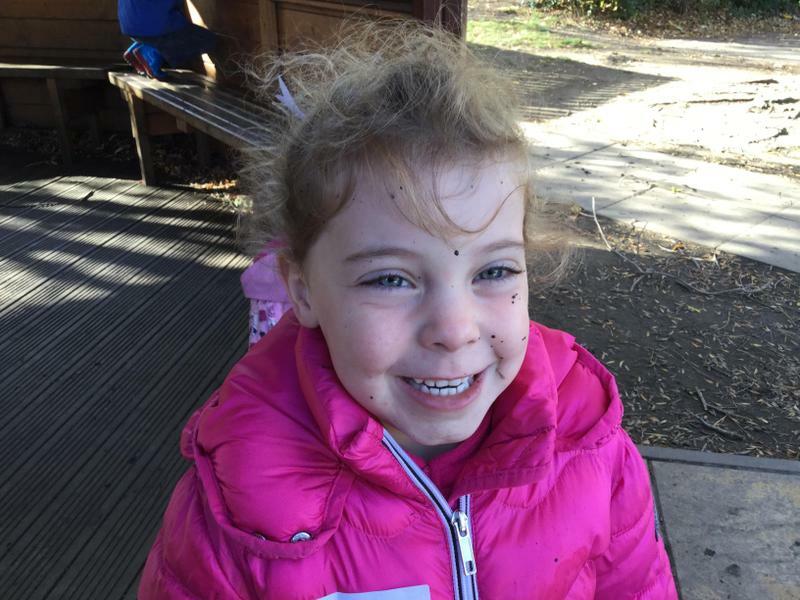 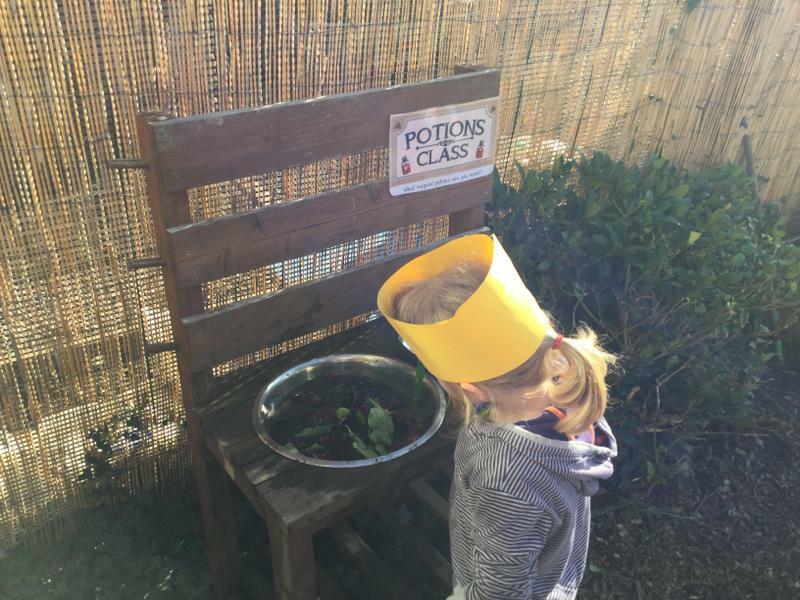 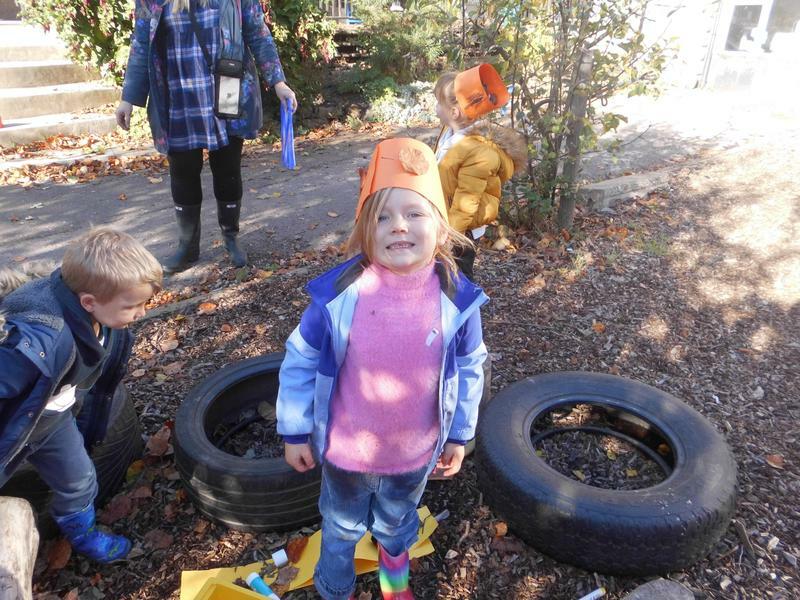 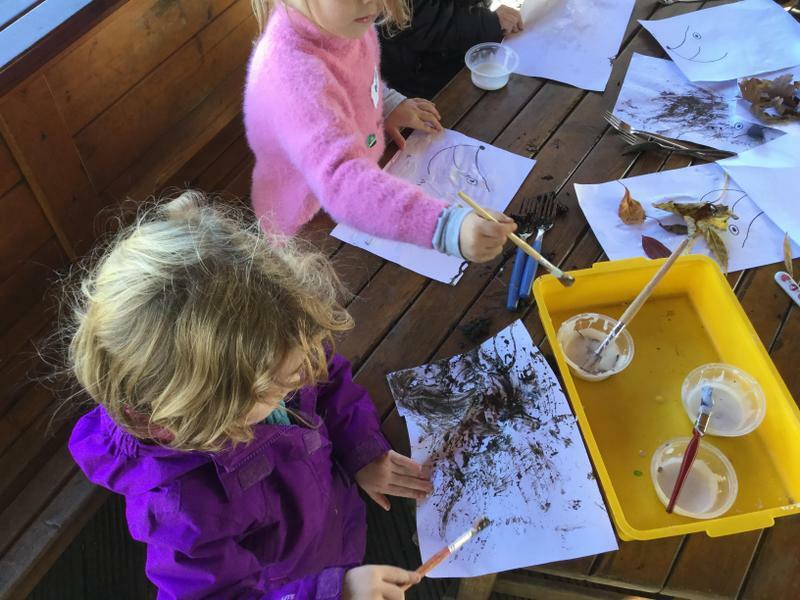 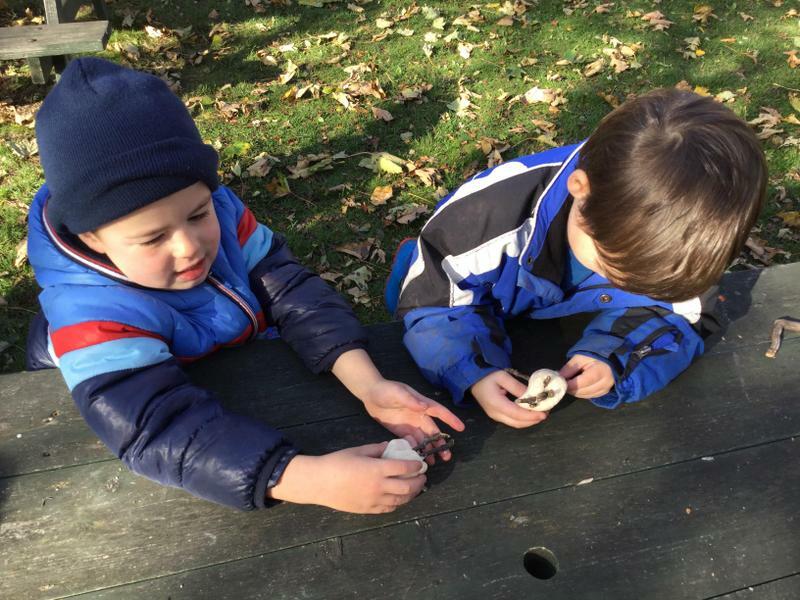 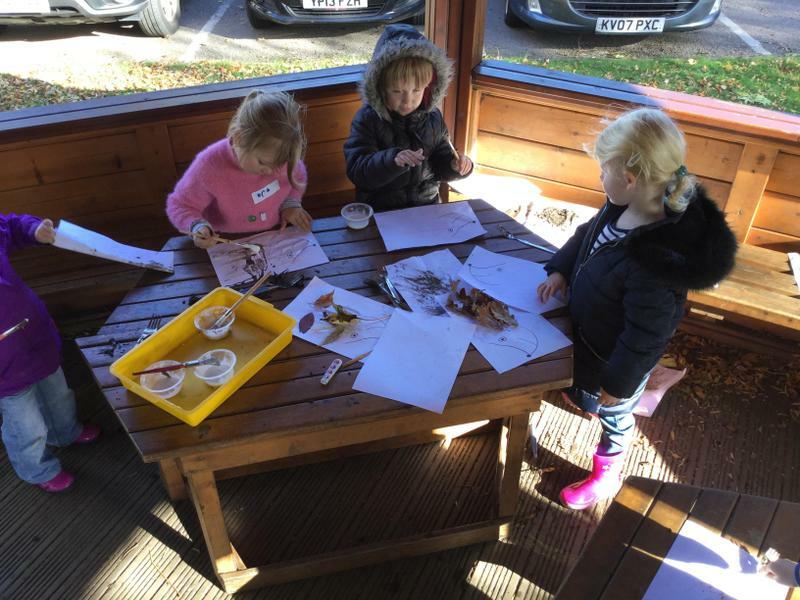 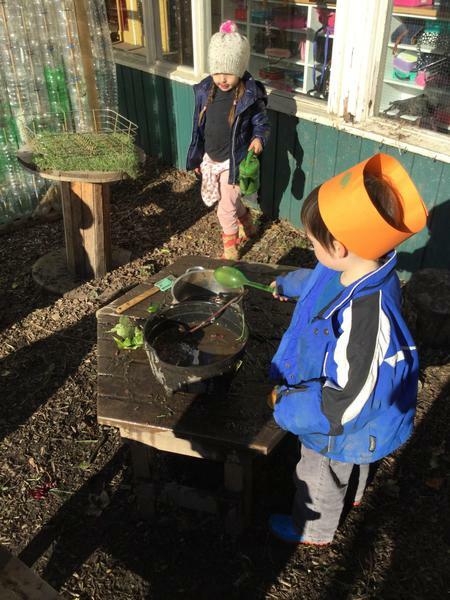 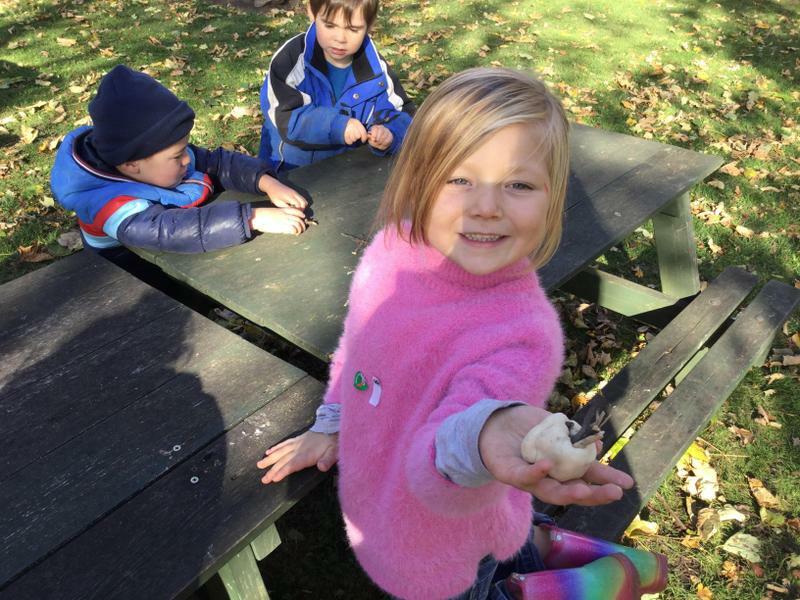 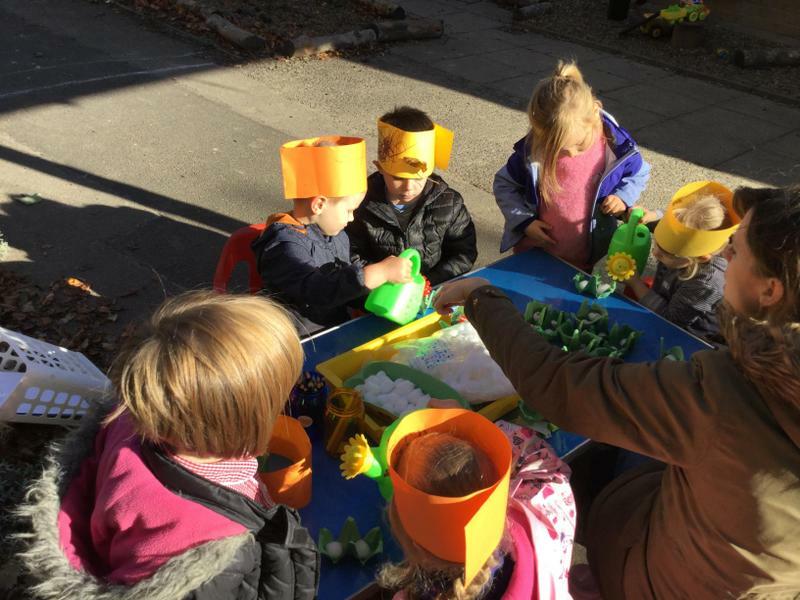 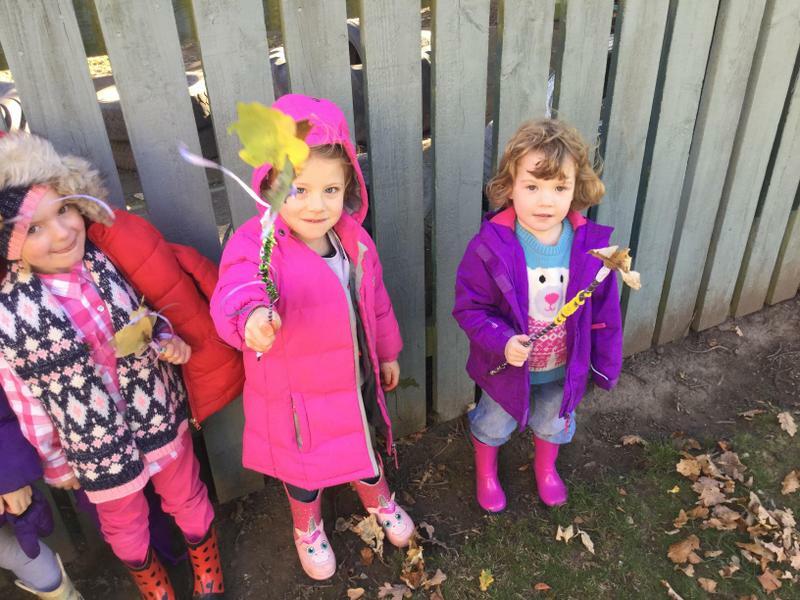 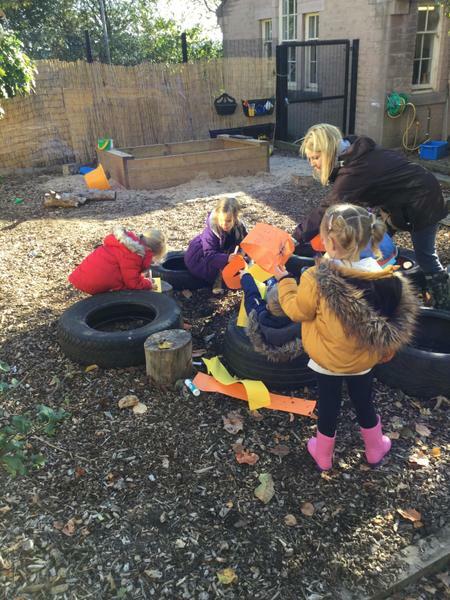 We made magic potions in our mud kitchen, we planted seeds to grow and made an autumnal crown using golden leaves. 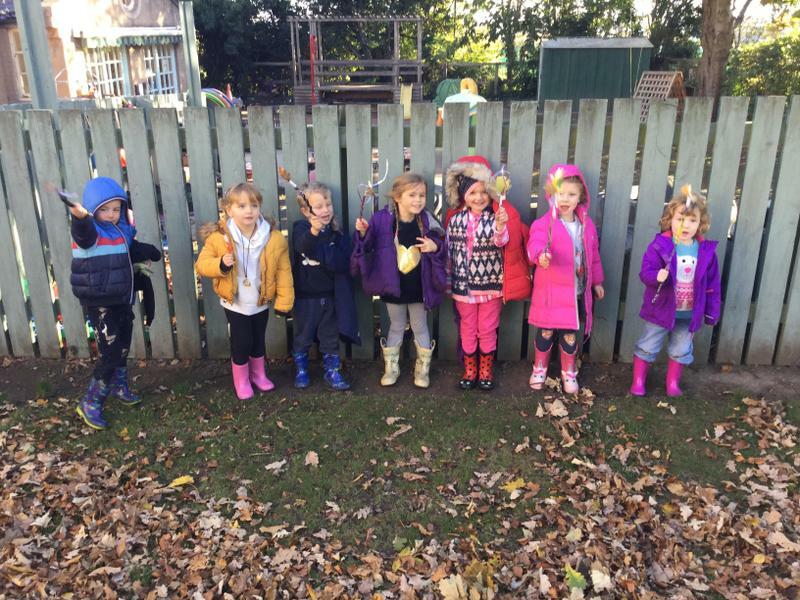 The children have settled really well and have been busy making new friends. 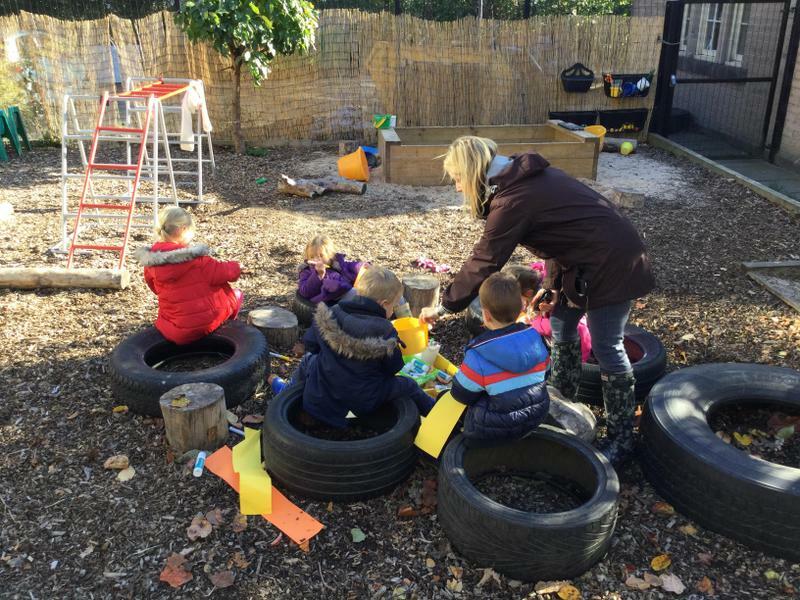 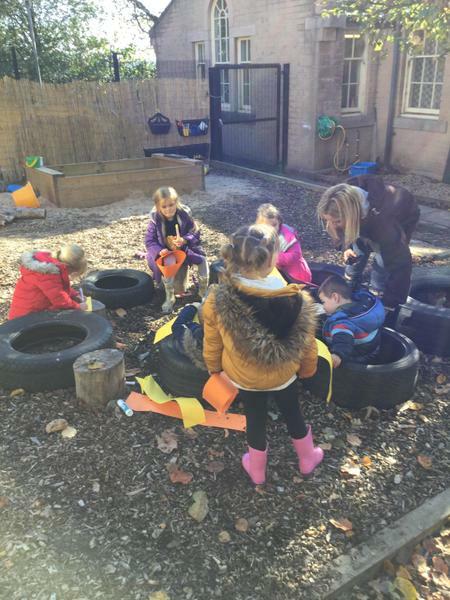 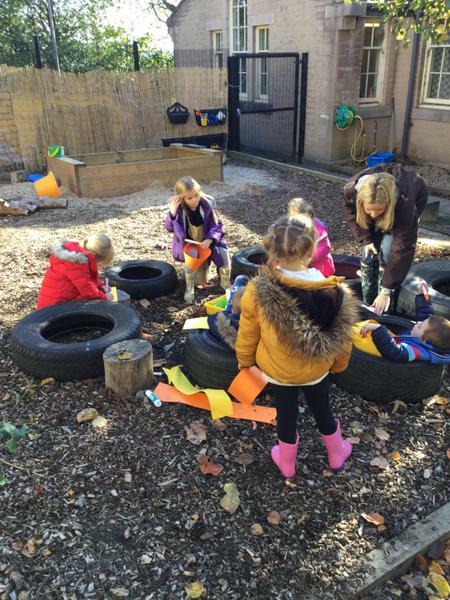 They have enjoyed exploring their new classroom and outdoor area.